GAMCO Investors, managed by Mario Gabelli, has raised its exposure to Biglari Holdings Inc (NYSE:BH). In a newly-amended filing with the U.S. Securities and Exchange Commission, GAMCO revealed that it holds 136,143 shares of Biglari Holdings Inc (NYSE:BH), up from 100,422 shares the investor held previously. The GAMCO’s stake is equivalent to 6.59% of the company’s common stock shares outstanding. Together with other funds managed by Mr. Gabelli, GAMCO owns an aggregate of 200,086 shares, representing 9.69% of the company’s shares outstanding. In its latest 13F filing, GAMCO reported owning 117,943 shares of the company. GAMCO Investors, formerly Gabelli Asset Management Company, was founded in 1977 by Mario Gabelli, and is based in New York. It went public in 1999. Gabelli owns a 50% stake GAMCO, while Microsoft Corporation (NASDAQ:MSFT)’s Bill Gates holds a 1.3% stake in the company through Cascade LLC. GAMCO has beaten the S&P 500 by a little over 2% per year since inception in 1986, and his small cap picks have done even better. 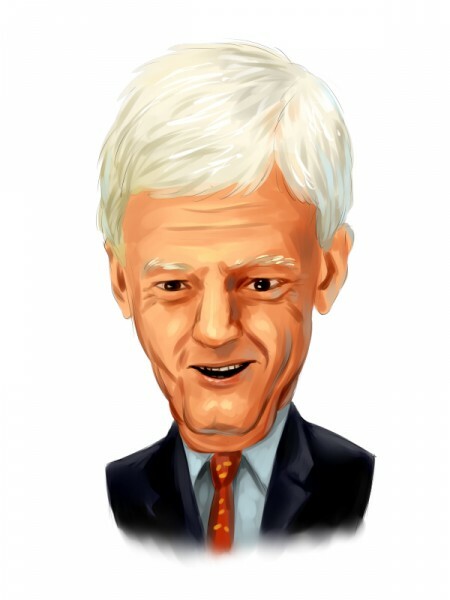 Mr. Gabelli is one of a number of investors who have started with value investing founding fathers Graham and Dodd and added their own twist on that long-standing advice. Recently, GAMCO disclosed increasing its activist stake in medical equipment company Volcano Corporation (NASDAQ:VOLC) to 6.90% from 5.86%, holding in aggregate 3.56 million shares in Volcano Corporation, which was recently purchased by Royal Philips. In the second week of this month, GAMCO reported upping the activist stake in Chiquita Brands International Inc (NYSE:CQB), owning a total of 4.43 million shares of the company, up from 3.84 million shares held earlier. The position amasses 9.41% of the company’s common stock. Last month, GAMCO and other funds affiliated with Mr. Gabelli acquired an aggregate of around 1.22 million common shares of The Pantry Inc (NASDAQ:PTRY), holding 5.24% of the company’s outstanding shares. Although the stake is of activist nature, Mr Gabelli has made it clear that he does not intend to seek control of The Pantry, nor interfere with its investment philosophy. In addition, GAMCO Investors and other funds in early December disclosed holding an aggregate of around 3.18 million shares of CIRCOR International Inc. (NYSE:CIR). The stake is equal to 17.97% of the company’s outstanding shares. Biglari Holdings Inc (NYSE:BH) is a holding company owning subsidiaries engaged in a number of diverse business activities, including media, property and casualty insurance, as well as restaurants. The company’s largest operating subsidiaries are engaged in the franchising and operating of restaurants. Biglari Holdings Inc (NYSE:BH) has a market cap of more than $862 million. On Wednesday, the company’s stock closed at $420.03. Share price decreased over 13% during last one year. The stock has a 52 week high of $474.29, and a 52 week low of $312.00. The consensus average target price for the stock is $500, while the consensus average recommendation is ‘Overweight.’ For the 40 weeks ended July 2, 2014, Biglari Holdings Inc (NYSE:BH) reported net earnings of $20.3 million, up from $113.4 million in the same period in 2013.